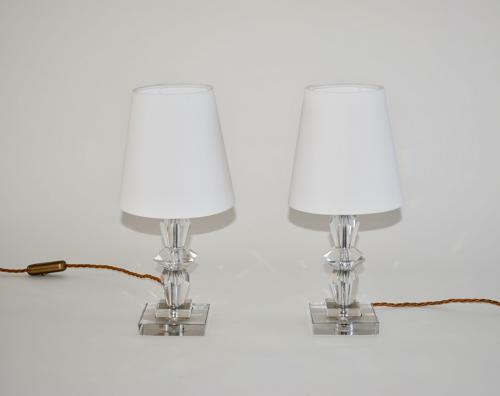 Very nice pair of bedside lamps. French Art Deco period. Tiered shaped glass with brass elements. Certified and rewired with silk cord. Glass base measures 9 cm by 9 cm.